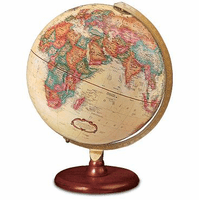 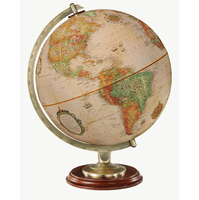 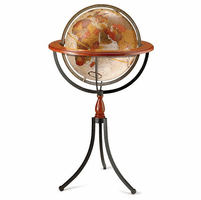 This Carlyle 12' diameter ocean desk globe, in elegant antiqued white color, is set in a die-cast semi-meridian, attached to a handsome walnut-finished hardwood base. 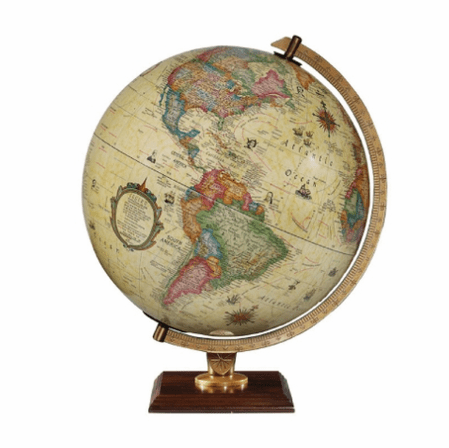 The globe features multi-colors to delineate each country, with named cities within each country, and is illuminated from within, adding a beautiful glow to the surface. 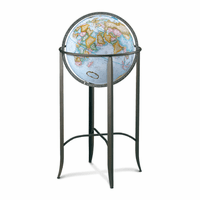 The total dimension is 13' x 12' x 16', perfect for the desktop at home or office. 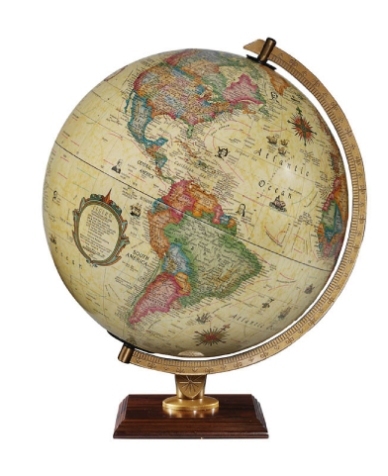 The globe will be a creative and unique gift idea for wedding, anniversary, retirement or promotion!